Slice the dill pickles 1/4 inch thick with your crinkle cut knife and dry them very well between sheets of paper towels. Add your flour, salt, black pepper, garlic powder, paprika and cayenne to a bowl and mix. Add the eggs to the buttermilk in a separate bowl and whisk to combine. Add the pickles to the dry ingredients and coat. Remove from the dry ingredients. Add the pickle chips to the milk mixture one at a time and dredge back through the dry ingredients a second time. Coat all the pickle chips before you begin frying, once you start frying you won't have time to mess with the pickle chips and your fingers getting caked in egg/breading mixture. 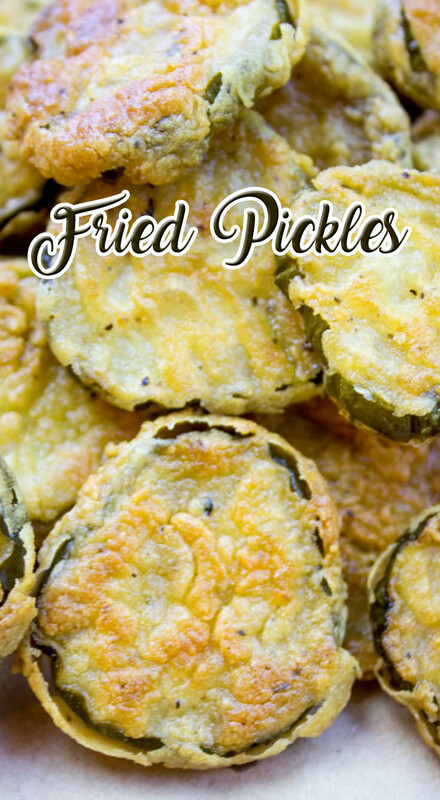 Fry the pickles in small batches to avoid crowding, for two minutes or until golden brown. Remove and drain onto a brown paper bag. If you drain the oil onto paper towels the pickles will soften from the steam it creates. Serve with ranch or honey mustard dipping sauce.